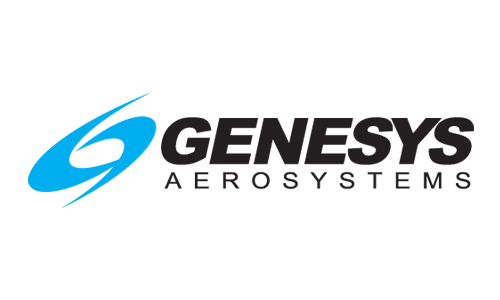 As the autopilot experts, Genesys Aerosystems has designed, manufactured and sold over 40,000 autopilots in the last 40 years. Depending on the autopilot, there are between 1 to 4 servos installed in each system, which means there are over 100,000 servos flying. These are a combination of our standard servos which offer up to 75 in-lbs of torque and our heavy duty servos which provide up to 200 in-lbs of torque. The latter of which can handle Part 25 aircraft including jets such as Lears and Citations. With the new design of our S-TEC 3100 digital, attitude-based autopilot, we have been asked several times, “Why didn’t you design a new servo as well?” And the answer is simply…there was no need. How did we determine that? First, we reviewed the last 10 years of service data on servos. We found that less than 1 percent, specifically ½ (.5) percent, of S-TEC servos are returned for repair. That includes servos that were installed over 30 years ago. In addition, we polled our installation centers and their response was that servos are robust and rarely need repair. So, we concluded there was no need to fix something that wasn’t broken. Another consideration is the ability to offer our many S-TEC autopilot owners an easy solution to upgrade their rate based autopilot to an attitude based autopilot with advanced features such as envelope protection, built-in altitude preselect and straight and level mode. By continuing to utilize our current servos, aircraft owners can retain all their servos, significantly lowering the price of the upgrade and installation. With all this said, just because we didn’t change the servos, doesn’t mean we didn’t improve the serviceability of them. Instead of driving the servos like we have over the last 40 years, we determined there was a better way. We now use something called Pulse Width Modulation (PWM) to drive servos. PWM means the 3100 sends full aircraft voltage to the servos instead of ramping up the voltage until movement is detected. This new way of driving the servos eliminates the ramping up of startup voltage which can build up carbon, and requires a trip to the service center for maintenance. Additionally, the 3100 conducts a startup sequence that runs the servos in each direction for a few seconds to remove any contaminants as well as checking for overall health. So, the bottom line with our servos is they work….they work very well, and we have 40 years of autopilot experience to prove it! For a list of all the makes and models currently STC’d with the S-TEC 3100, please visit here.